The Rapper Sword tradition (no connection with modern rap music) was traditionally performed in the mining villages of Northumberland and Durham in North East England, especially in Tyneside. The dance involves five people dancing with short, two-handled, flexible swords (called rappers) and often accompanied by two characters, Tommy and Betty. 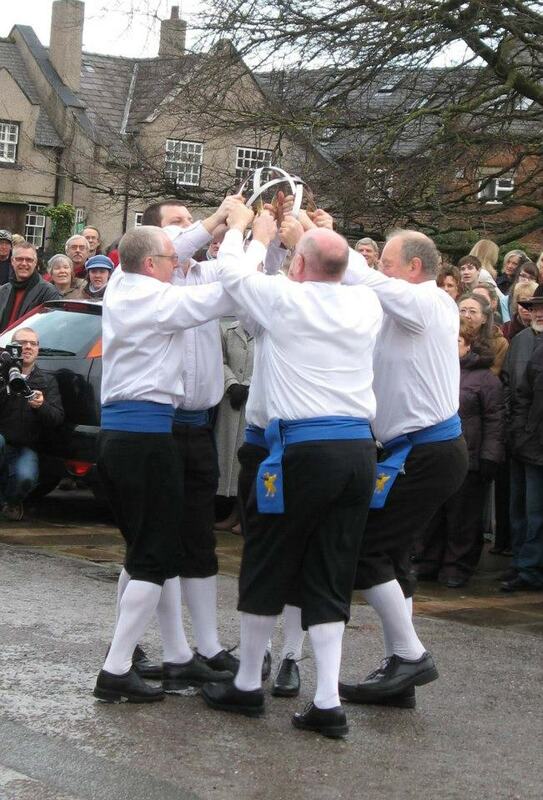 The dance is related to the Long Sword dance of Yorkshire, as well as other sword dances in Europe. The rapper swords are claimed to be derived from the two handled lengths of flexible spring steel used to scrape the sweat and dirt from pit ponies and which can still often be seen on the walls of the stable blocks in mining museums, etc. The modern dance is fast (danced at around 100-160 beats per minute) with different teams using different rates. However, it should still be smooth and flowing, with one figure seamlessly moving into the next. A number of acrobatic figures can be employed, including forward and backward somersaults over swords held at waist height. 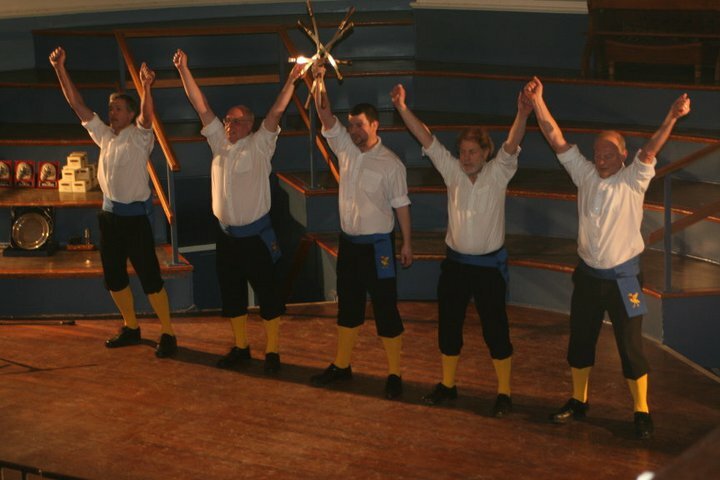 It is beyond reasonable dispute that rapper is the most exciting of England’s traditional dances to watch. 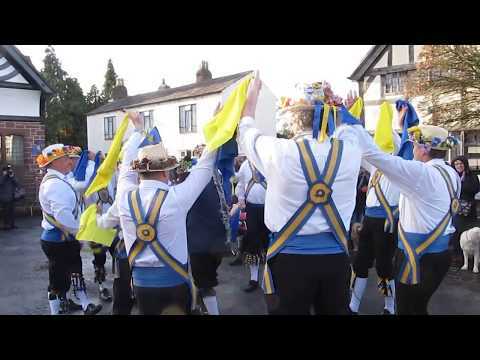 Scally Rapper dancing at the Boxing Day Revels, Willaston, 2012. Read more about the history of Mersey Morris dancing rapper. Locally, a ‘scally’ is a roguish self-assured young person, typically a man, who is boisterous, disruptive, or irresponsible. Mersey’s “Scally Rapper” have their own, continuingly evolving dance made up of well known figures and danced at up to 145 beats per minute in sets of total age nearing 300. Occasionally the traditional Swalwell dance is performed, this is slower and dates back to before 1911 when it was published by Cecil Sharp.